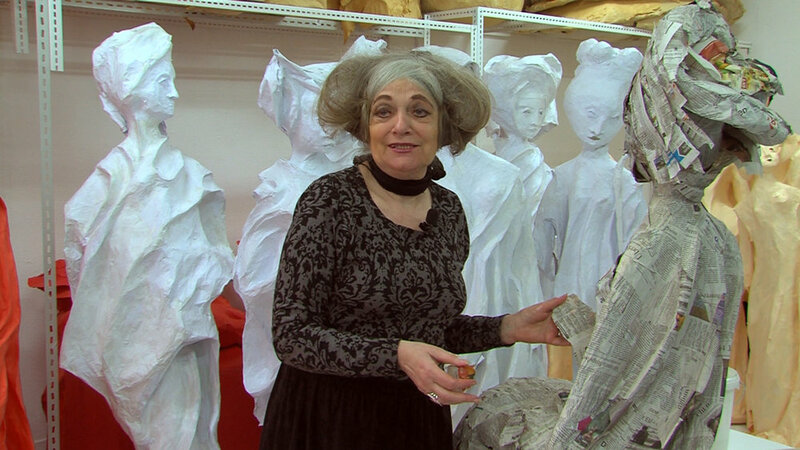 This documentary is about the female artists referred to as Zart and Zackig (Tough and Tender) who have worked together for more than 30 years. The seven artists are between 69 and 80 years old and are full of envy. But in spite of this, they have supported each other’s work. They have studied art history in cities around Europe, and have received numerous awards internationally. Each one maintains that they have stimulated artistic growth in each other. They look at each other with sympathy and with shock when they discover growing wrinkles in each other’s faces or when they observe one of their group struggling to walk to the computer for her next animation sketch. Andreas Michels is a director, cameraman and editor who has worked on travel logs and documentaries for the past 20 years. Though he is currently based in Germany, he has work experience in Canada, the U.S., the Phillipines, Iceland and all over Europe. He attended the China Womens Film festival tour 2017 during which he held a workshop on documentary film making for local NGO participants in Chengdu, China. Annelie Runge works as a freelance author and filmmaker in Bonn and Berlin. After working as a nurse for several years, she decided to change careers and attend journalism school in Munich. In addition to literary works for broadcasters and newspapers, she made magazines and portraits for television companies. In 1981 she made her first television play Falsche Liebe. This was followed by the novel Die Liebesforscherin published by Claassen-Verlag. Since then, she has worked on several films and has even traveled to China to film In Search of Chinese Artists. Another one of her films, The Princess and I, was featured as part of the Fourth China Women Film Festival.